PRODUCT: 1/4 X 14 inch SDS-Plus® Carbide Hammer Drill Bit, Powers Brand. Price/Each. 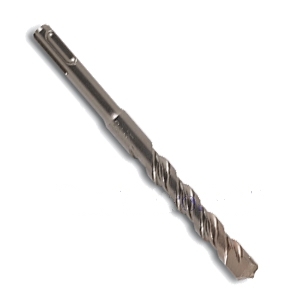 APPLICATIONS: The Powers S-4 Plus carbide drill bits are designed for use in rotary hammers equipped with SDS (slotted drive shaft) type chucks. OTHER SIZES: Available to fit 5/32 inch up to 1 inch diameter and 4 to 24 inches in length.